Prior to World War I Outer Mongolia, the large area in the top center of the map of China had become independent, and Inner Mongolia was divided into four provinces of China. 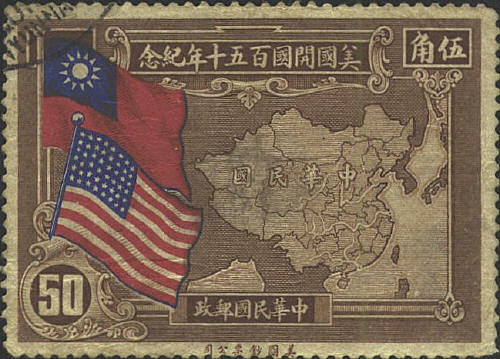 The map, issued as one of a four stamp set with the same design, shows Outer Mongolia as a province of China also, which, at the time was not true. It had been independent since 1911. Whether the stamp reflects a Chinese claim to the territory of Outer Mongolia, or was simply sort of carry-over from an earlier time is not clear. In any case it is an error.